As the castle continues to freeze and hope is being lost, surprises come from every corner. Ethel decides to make a sacrifice. Maud is stressed out directing Miss Cackle's birthday show so Mildred and Enid try to help, but they accidentally turn her into a baby. Miss Cackle struggles with pressure from the Magic Council. Hilarious and heartwarming -- Give it a try! I know this show is really new, and that is likely why the rating is so low, but I think it is also probably because people think its copying Harry Potter, when it is in fact based on an older book series/ TV show/ movie. 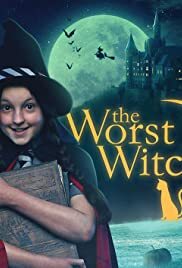 I have never been exposed to Worst Witch before this, and it is a great show! 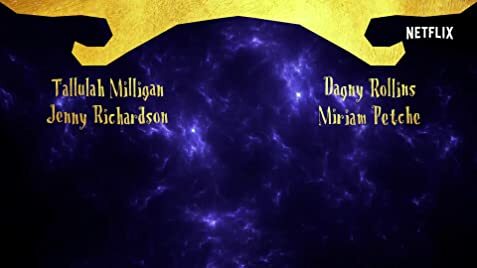 The child actors are fantastic, especially the one who plays the lead (Mildred) and the show does an excellent job of keeping the magic aspect fun and exciting while also using it to show normal growing up struggles-- something many shows try to do but which Worst Witch does really naturally. I recommend that if you like Harry Potter, as I do, you give it a shot, and enjoy the similarities instead of judging. Also, recommended for both males and females. Just because most characters are female does not mean this show won't be fun for you anyway (trust me it will)!